For each lectionary text, preachers will find four brief essaysone each on the theological, pastoral, exegetical, and homiletical challenges of the text. This gives preachers sixteen different approaches to the proclamation of the Word on any given occasion. Feasting on the Word: Year A, Volume 4 by David L Barltett was published by Westminster in May 2011 and is our 16853rd best seller. 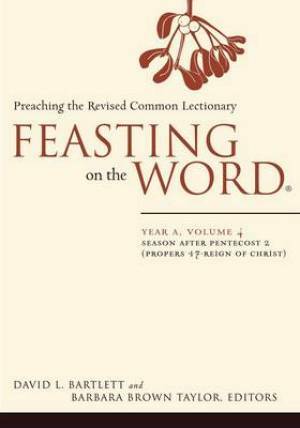 The ISBN for Feasting on the Word: Year A, Volume 4 is 9780664231071. Be the first to review Feasting on the Word: Year A, Volume 4! Got a question? No problem! Just click here to ask us about Feasting on the Word: Year A, Volume 4.